The eBay marketplace offers an online venue for businesses and individuals to sell items. 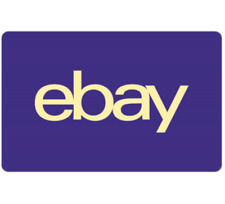 From electronic devices, toys, art, home and garden products, and more, eBay marketplace offers a variety of gifts. Here are some key information points to know when using your eBay Gift Card. 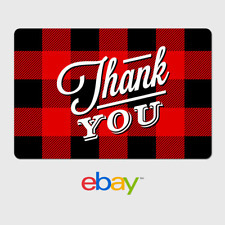 How do you redeem your eBay Gift Card? You may use your eBay gift card to buy from the eBay marketplace. Here are some key points to know about redeeming your gift card. Use on eBay only: An eBay gift card is only redeemable on eBay and is not redeemable for cash. While you can buy a gift card without an eBay account, you must have a registered eBay account to make a purchase with the gift card. Nontransferable and nonrefundable rules: You cannot refund or sell your eBay gift card for cash. Once you make a purchase, the funds become non-transferable. There are no time restrictions, such as expiration dates, when using a gift card. Checking out: You can use eBay gift cards to pay for all or some of an order. 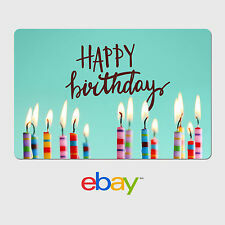 To use your gift card at checkout, enter the 13-digit gift card number and go ahead as usual to confirm your eBay order. What is the monetary limit for eBay gift card purchases? There are certain monetary limitations when you use your card to make a purchase. 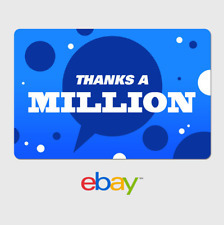 A total of $1000 is the max amount of any number of eBay gift cards for a single purchase. In addition to the $1000 max amount, there is a limit of eight cards used for a single transaction. If you use a coupon or promo code, the number of gift cards allowed will also be affected. How do you use an eBay gift card with PayPal? Since PayPal is one of eBay's primary methods of payment, you can use it with a gift card. For example, if your purchase is $45, and you have a gift card for only $25, you can use your PayPal account to pay the remaining $20 balance. Any remaining eBay gift card's balance will be loaded into PayPal's card wallet feature. Proceed to checkout: Proceed to your eBay checkout page with your eBay gift card information handy. Enter gift card information: Enter your 13-digit gift card number into the code area on the eBay checkout page. Remaining balance: Once the amount from your gift card is removed from order total, you can use your PayPal as normal to pay for the leftover amount.